Church was waived by the Jaguars on Friday. Church (coach's decision) is inactive for Thursday's game against the Titans, John Oehser of the Jaguars' official site reports. Analysis: Church had been a starter for 27 consecutive games since joining the Jaguars in 2016, but he was replaced by rookie Ronnie Harrison against the Colts in Week 13. Church will now be a healthy scratch, with Harrison likely getting the start at strong safety in his place. Church had two solo tackles and an interception in Sunday's loss to the Steelers. Analysis: Church intercepted a deep pass intended for Antonio Brown in the second quarter, but otherwise had a quiet afternoon. The veteran safety has only 35 tackles through 10 games and isn't worth IDP consideration with only one sack, one interception and zero forced fumbles. Church (head) was a full participant in Wednesday's practice. Analysis: Church exited Jacksonville's loss to the Eagles in Week 8 and was evaluated for a concussion but appears to have gotten fully healthy during the team's bye week. The starting safety is expected to suit up against the Colts on Sunday. Church was evaluated for a concussion during the fourth quarter of Sunday's loss to the Eagles, John Oehser of Jaguars.com reports. 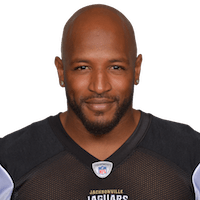 Analysis: Church's rough week in London continued Sunday as he sustained a head injury, but he'll have additional time throughout the Jaguars' upcoming bye to clear the league's concussion protocol. Church and teammates Ronnie Harrison, D.J. Hayden (toe) and Jarrod Wilson were arrested early Saturday morning in London, Ian Rapoport of NFL Network reports. Analysis: The incident reportedly could be a misunderstanding as the players were arrested but not charged with a crime as there was an apparent argument regarding their bill, which was eventually resolved. The Jaguars have announced that the players have returned to the team and the issue is being "handled internally." Kickoff for Sunday's game against the Eagles is set for 9:30 AM EDT and Church should be expected to take his usual starting role unless the team announces otherwise. Church recorded three tackles (all solo), including a sack, in Sunday's win over the Jets. Analysis: Church's sack was his first of the season and gives him 2.5 for his career. He and the rest of the Jaguars defense will look to maintain their strong play when they take on the red-hot Chiefs offense in Week 5. 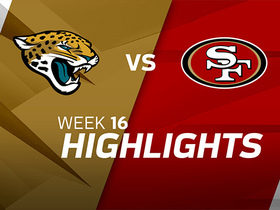 Church had five tackles, two pass breakups and one interception Sunday against the 49ers. Analysis: Church played 65 of 66 defensive snaps Sunday, and he now has four interceptions this season, doubling his previous career high. Still, he's averaging just 4.5 tackles per game, which would leave him on the low end of fantasy safeties. However, with a meeting against a turnover-friendly Titans squad in Week 17, Church could vault himself into the top-tier fantasy realm. Church posted three tackles, one pass breakup and one interception Sunday against the Texans. 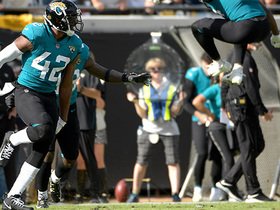 Analysis: Church played just 51 of 62 defensive snaps Sunday, as he was given some extra rest since the Jags led 31-0 at halftime. Although he posted a nice stat line, he's only recorded over three tackles once in the last six weeks, making him a highly risky IDP option in Week 16. Church posted nine tackles (eight solo) and one interception against Arizona on Sunday. Analysis: Church played all but one defensive snap Sunday, working his way to his best performance of the season. The 29-year-old has averaged five tackles and five pass breakups per game this season, which makes him a mediocre fantasy asset. 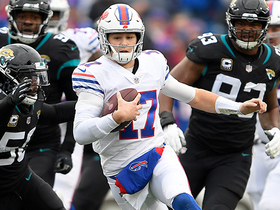 Buffalo Bills quarterback Josh Allen turns a scramble into a 45-yard run. Jacksonville Jaguars safety Barry Church intercepts Pittsburgh Steelers quarterback Ben Roethlisberger for an 11-yard interception return. Indianapolis Colts wide receiver T.Y. 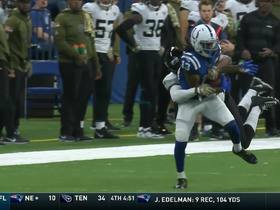 Hilton cuts across the field to catch a pass from quarterback Andrew Luck for a 35-yard gain. 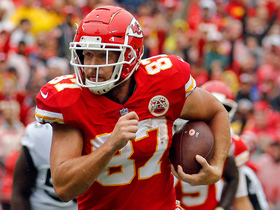 Kansas City Chiefs tight end Travis Kelce catches a short pass and jukes his defender on a 40-yard reception. 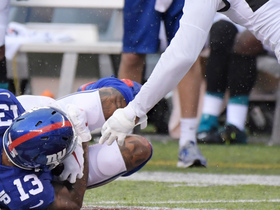 Odell Beckham Jr. pulls down a 24-yard catch as he loses Jalen Ramsey. 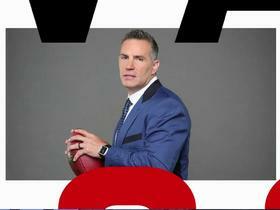 NFL Network's Kurt Warner breaks down what makes the Jacksonville Jaguars defense so dominant. The "NFL GameDay Morning" crew debate if the Jacksonville Jaguars defense can carry their team to the Super Bowl. 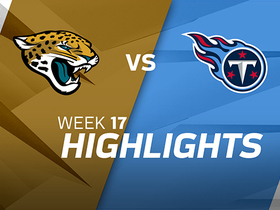 The Jacksonville Jaguars visit the Tennessee Titans in Week 17 with huge playoff implications on the line. 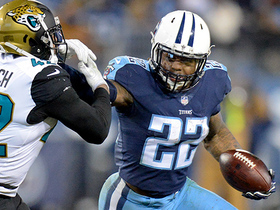 Tennessee Titans running back Derrick Henry runs through defenders for 12 yards.